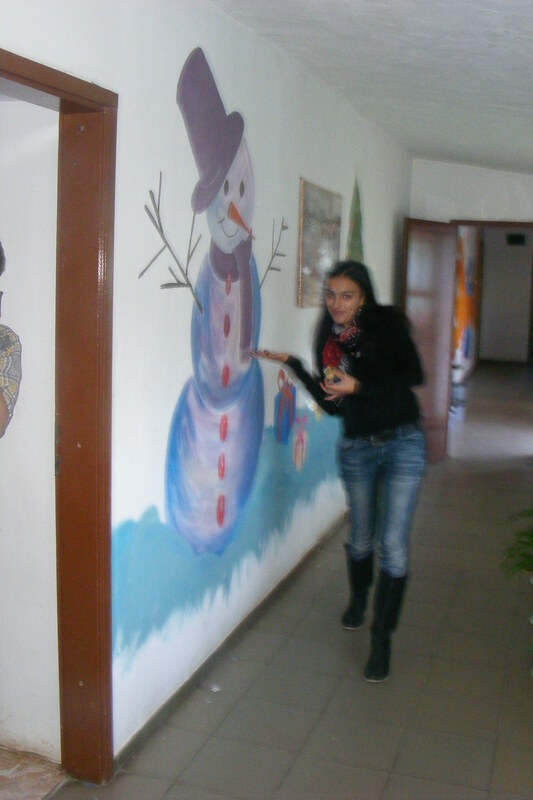 It was somewhere in November that the EVS volunteers had the chance to visit Lipova’s orphanage. 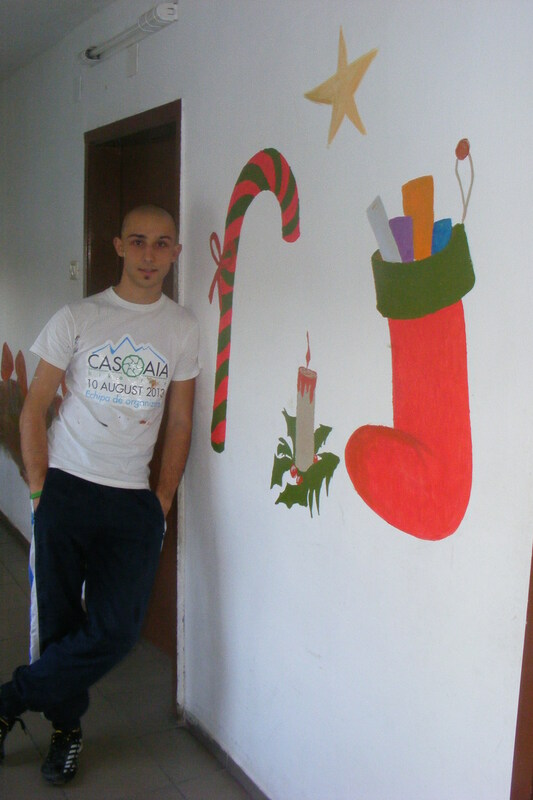 Alongside with other Romanian volunteers from Pro Prietenia (Denisa, Georgiana and Ruben) we were delegated with the task of painting the walls, not with solid color but with happy motives so that the building would have a more cheerful look, thus more appealing to children. After a long, yet interesting walk from Lipova’s train station through the village where we had the chance to appreciate and know it better, we finally arrived at the orphanage. Even though this was a state’s orphanage, it must be said the conditions were surprisingly good with a very welcoming atmosphere and provided with lots of didactic and playful items for the copii. In addition to that, most of the children there were really nice and polite, with some of them showing a considerable potential in the fields of arts and sports, having won already some distinctions. The activities started right after dinner with a quick brainstorming of what the motives would be. 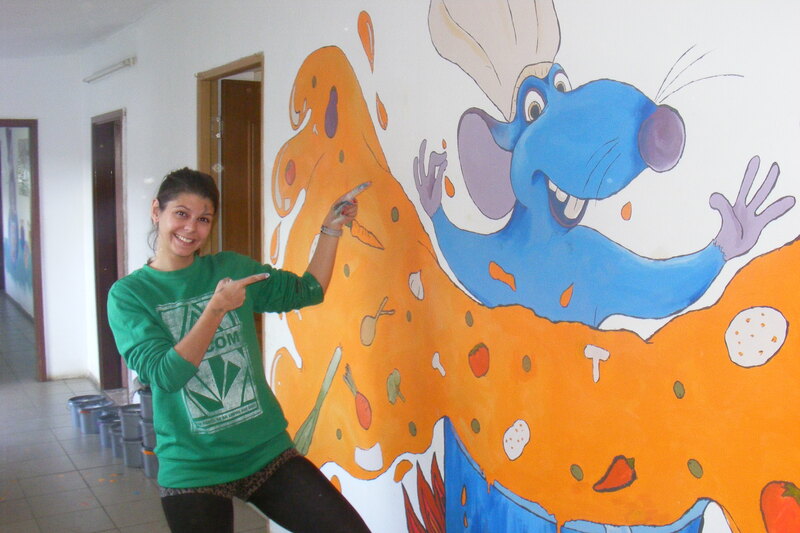 Of a total of six walls to paint, it was then decided that references to both Madagascar and Ratatouille movies would have each one its own wall, and the subsequent ones would portray motives of each season of the year. 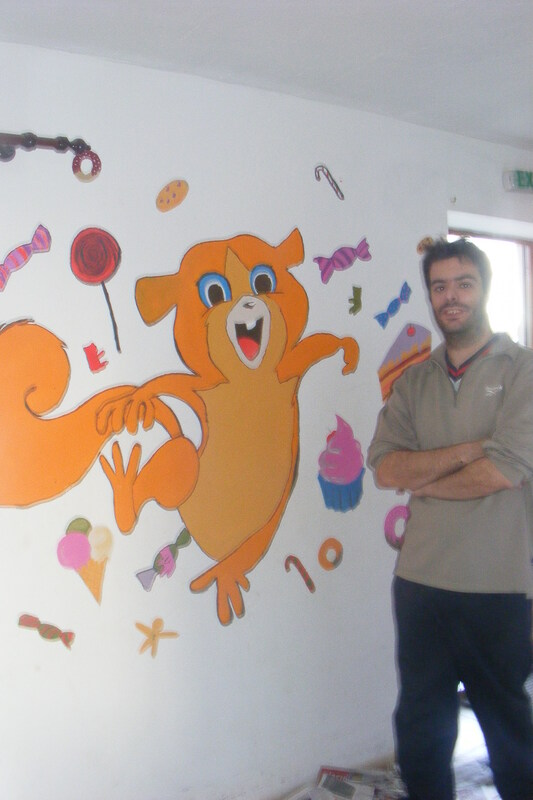 The day finished with the drawing of the outlines. It was early in the morning of the following day that the “hard work” took place. 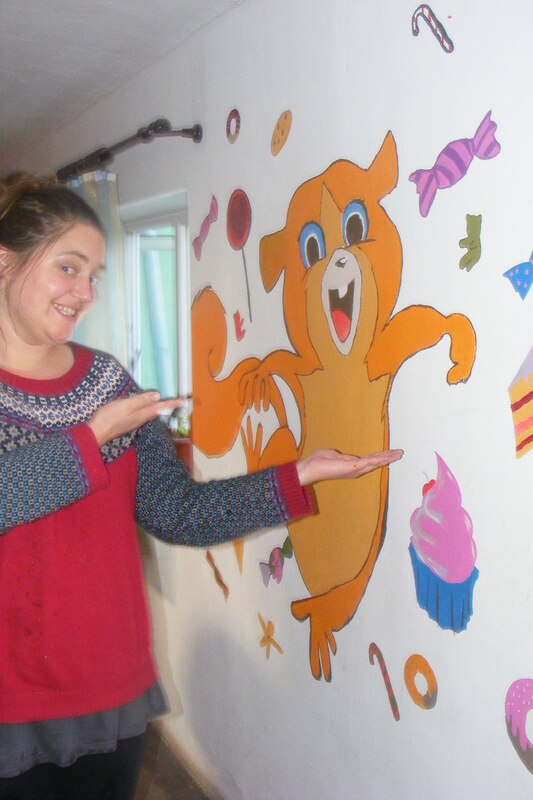 Although painting walls it’s no easy thing to do, especially when you have to respect the outlines and multiplicity of colors, the ambience was still filled with great mood and interaction between the volunteers, the children and the women working at the orphanage. Later in the afternoon, after an exhausting day with pretty much everything done, we went back to Arad not only with the feeling of job well done, but also with the will and desire to repeat the experience in a near future.